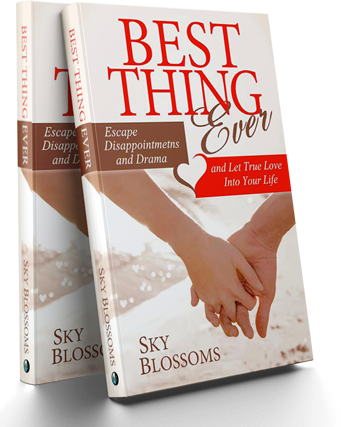 Excerpted with permission from the new book Best Thing Ever: Escape Disappointments and Drama and Let True Love Into Your Life by Sky Blossoms, for which we were interviewed. When I was about eleven years old, I watched my very first soap opera. The main heroine met the man of her dreams, but soon after that, he tragically died. 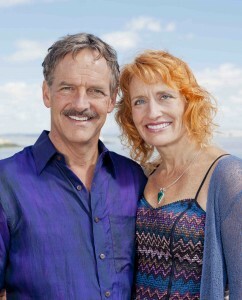 About twenty episodes later, she met someone else and fell in love again. This was shocking to my childish idealism. How could she be with another person? Isn’t there only one perfect mate for each of us? Don’t you meet your prince, fall in love with him, and live happily ever after? I grew up understanding that we are not limited to a sole path of happiness, and our lives can take different turns and be joyously shared with more than one partner. It was liberating to realize that we are not bound to a single person for contentment and a blissful life. However, the question then becomes, if we have no pre-determined mate, what makes someone the right partner or the one? Simply put, it is a mate with whom you can fulfill the purpose of your relationship. Whether a reason behind your romantic union is to experience fun and adventure, or lust and passion, or to feel secure and gain financial benefits, or to have children, the right partner is someone who can help you accomplish your goals. When you yearn for a multidimensional experience—a genuine and soulful connection on every level: physical, spiritual, emotional, and intellectual—the definition of the love of your life also becomes multifaceted. In this case, the one is a chosen partner with whom you can craft a delightful and lasting relationship and create a truly wonderful and exciting life. Such a romantic union will enrich the lives of both of you in every single way. Your hearts will open to each other, and your aims, goals, and values will be in alignment. You will evoke the best in one another and become a mutual source of inspiration and encouragement. Each of you will feel more empowered and shine your brightest, reach for new heights and have more clarity than ever before. Loving your mate will feel like you are expanding. Your communication will be seamless, and your attraction will be very strong. When your mutual love and deep appreciation grow, the two of you will frequently feel as one, as if your very souls intertwine and saturate each other. This kind of kinship is often called “soul mates,” because your affinity is much more profound than similar interests and sexual chemistry. The one for you is the mirror of who you are. In order to recognize him, you have to see yourself clearly, feel your core, or your eternal essence, know your power, and keep your heart open to love. Becoming the authentic—and thus best—version of yourself is all the work you’ll ever have to do for your relationship. The Life-giving Creative Source of the Universe will take care of the rest, including attracting the mate of your dreams. And yes, there is a person, perhaps more than one, who is waiting to become your blissful co-creator of whatever experiences you desire.